Camilo Reyes and Dimitri Masse were, back in the mid/late 80's two very influent and active skaters in France. 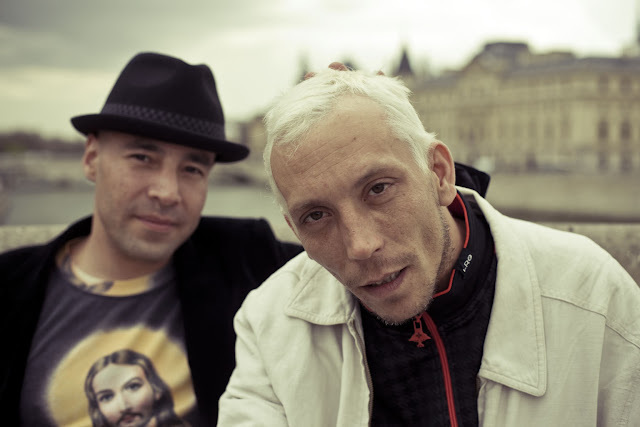 Buddies in life, they were known as a cool duet, and as a ten year old kid, i did dig those guys a lot for their styles. one smooth, one more agressive. 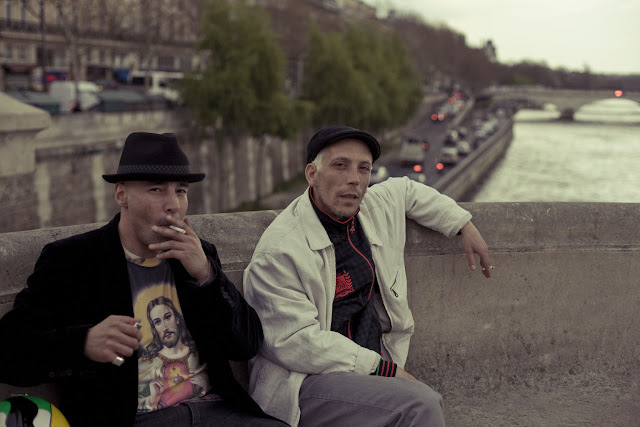 i met them the first time near Crimée (Paris, 19th district) in 1988. 3 years ago, i ran into Camilo at the shop Starcow, and we started talking, talking and talking. like 2 vets eh eh. 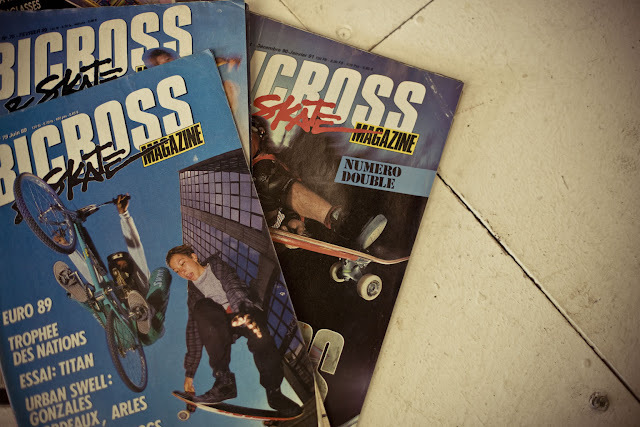 since this day we keep saying we should do an action photoshoot together with Dimitri Masse like back in the day. well it's not done yet, but we hooked up the other day when they stopped by a photoshoot i was doin for Ruby Helmets. 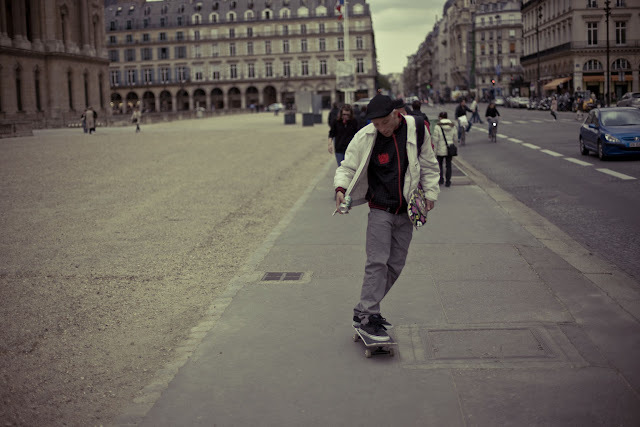 while the model was gettin dressed etc.. Camilo took his board for some handplants on the historic bridge Le Pont Neuf, and i shot few portraits of this two brothers in soul. the light and the vibe were magic, the instant too. 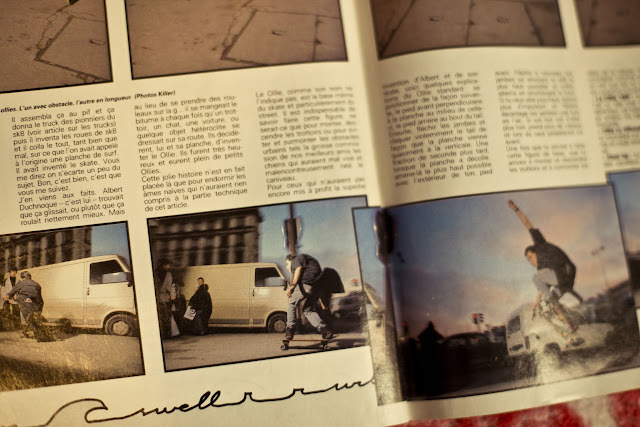 and i'm happy to have those photos of two important skaters who inspired a generation of kids in France.